Today, we are going to talk about blushes. My love for blushes is pretty new. If you would have asked me 2 years back about blushes, I would have drawn a blank. I hardly ever wore any kind of blush or color on my cheeks. Yes, you are probably judging me now. There was a time when I would just wear foundation and that was about it. But, over time, I have realized that a hint of colour on the cheeks can only make your makeup look more natural and fresh. 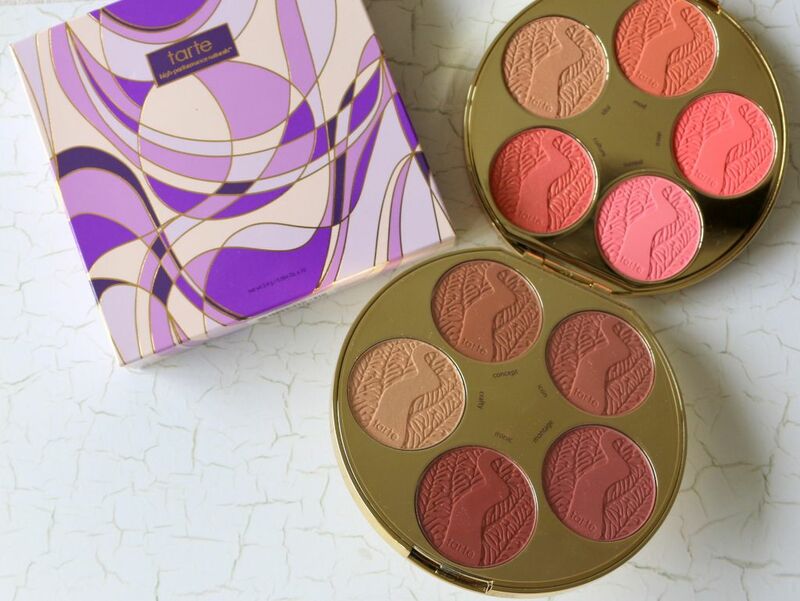 This is where blushes come in. Today, I own quite a lot of blushes and I too have been sucked into the whole concept of warm, neutral, cool, summer, fall and so on blushes. 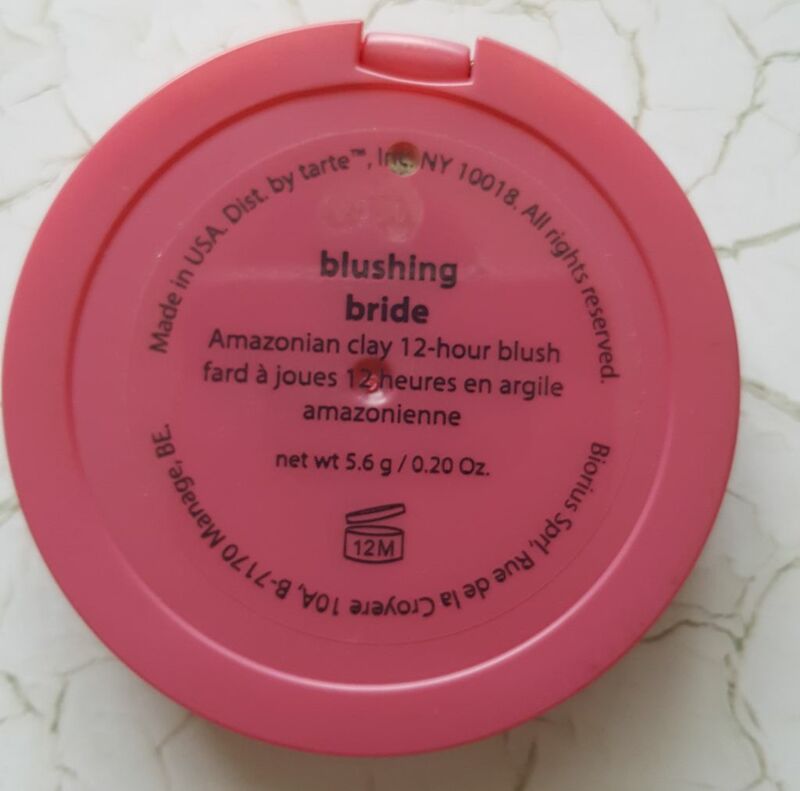 I want to review all my blushes for you guys, so that you can see what a variety of blushes are out there in the market and I don’t even have that many. Blushes are probably one of my favourite makeup things to wear now. 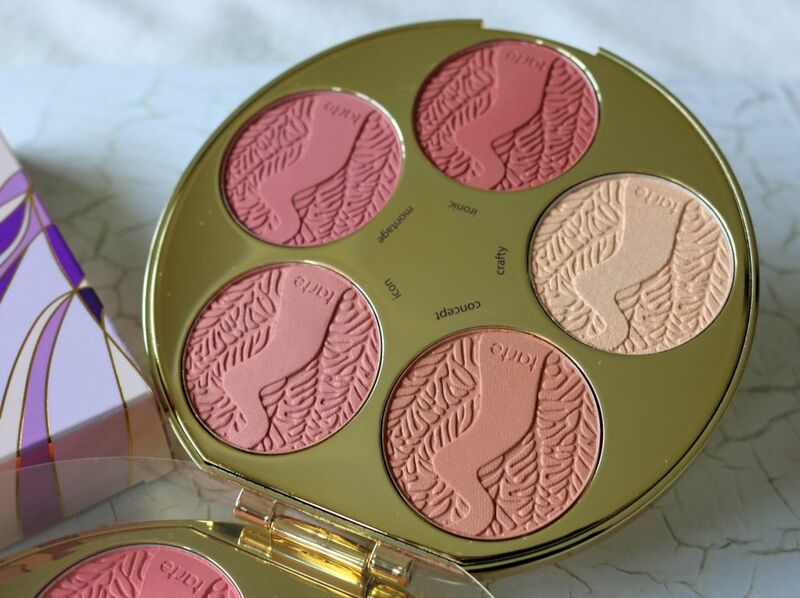 I thought I will start with the latest addition to my blush collection since it’s quite new to the market and it’s limited edition. 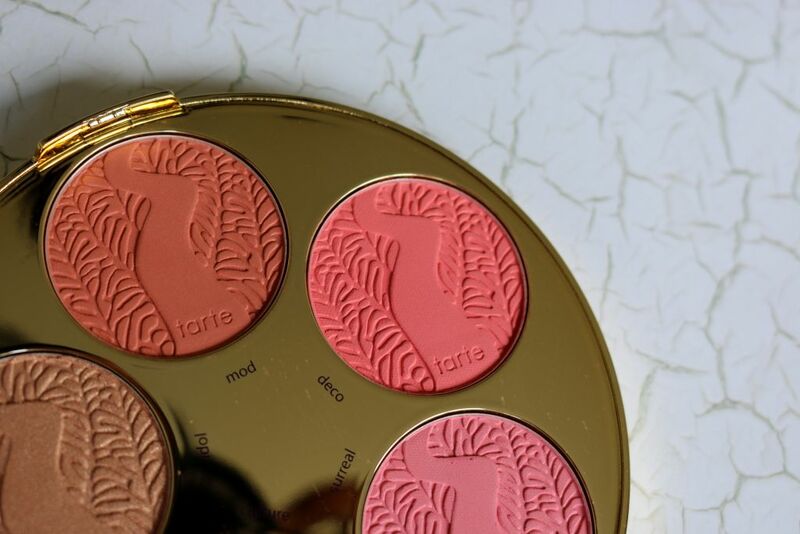 I am talking about the new limited edition Amazonian clay blush palette called the “Color Wheel” by Tarte. This is part of their holiday 2016 releases. 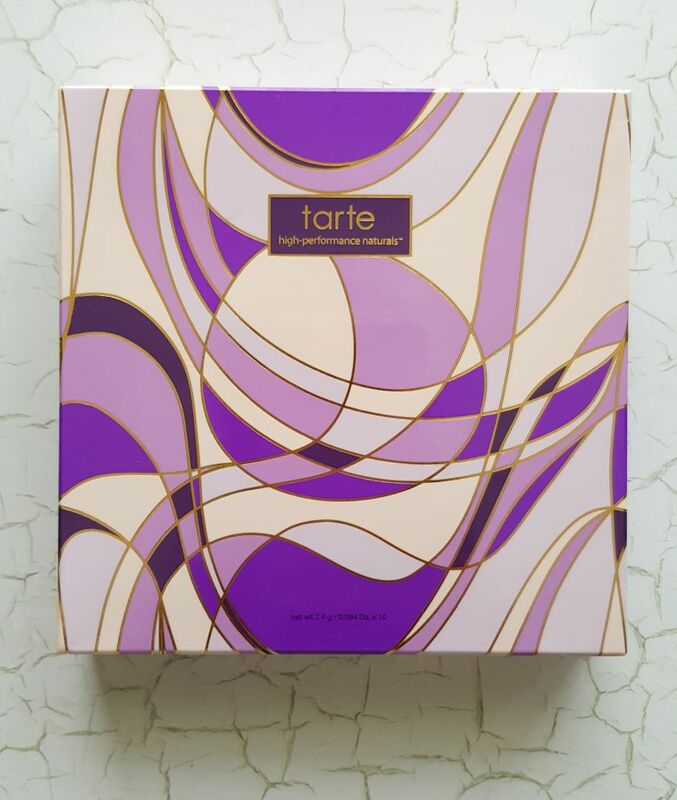 I just love the Tarte Amazonian Clay 12 Hour Blushes, so naturally when I saw this palette which has 12 amazing shades, I was sold! I think for SGD 65 this is quite a steal. You get 8 brand new blush shades and 2 highlight or blush topper shades. You can mix and match the colours too and get a totally unique colour. 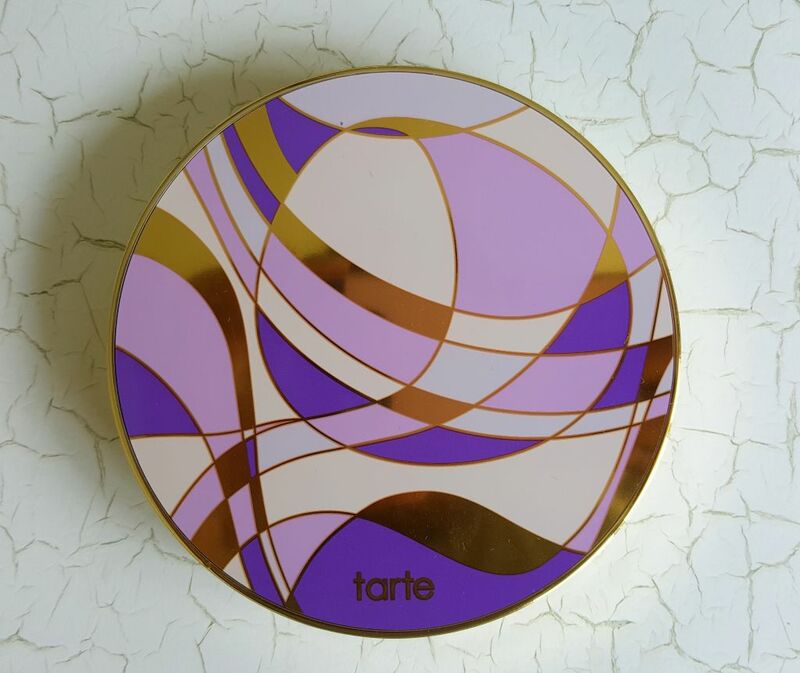 I love the formula of the Tarte Amazonian Clay blushes. They are pigmented enough to get a good colour, but not so pigmented that you have to be very careful with them. 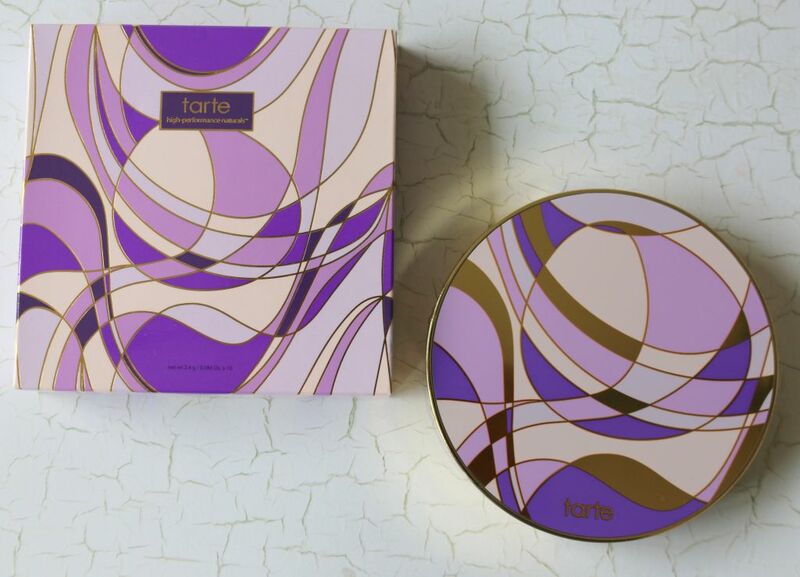 The formulation is very soft and buttery which easily blends on to the skin, but still not at all powdery in the pan that it will give you a powdery kickback whenever you dab a blush brush on the product. It is just amazing! I don’t know about 12 Hours, but this blush surely stays on the skin for a long time. 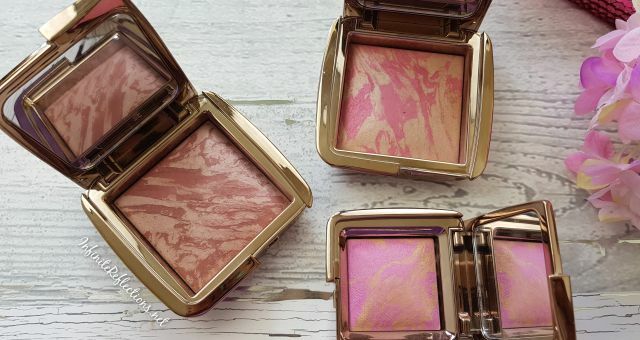 Most of my earlier drugstore blushes would just disappear from my cheeks after a while, not these ones. So, you can understand my excitement when I saw these on Sephora Singapore as we hardly get any holiday palettes in Singapore. Look at the colours, isn’t it so pretty!? 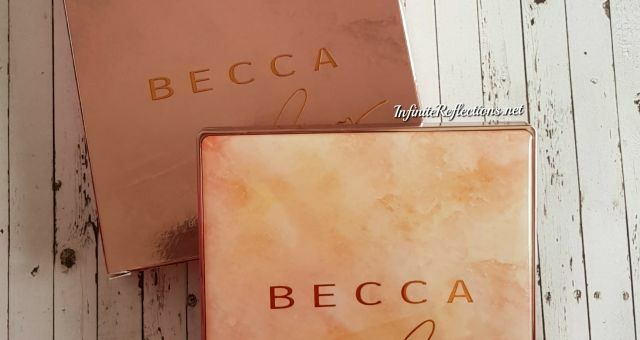 Inspite of this being a holiday palette and this being so competitively priced, the quality of this blush palette doesn’t disappoint. 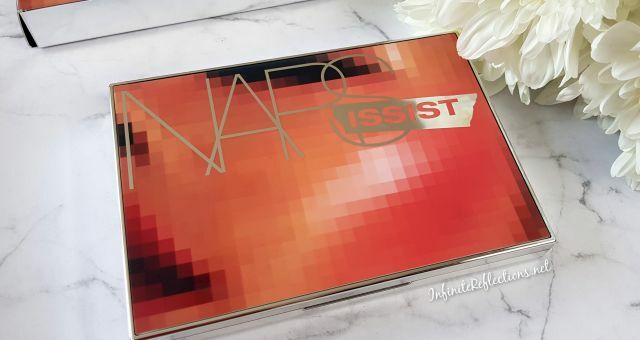 So, from the pictures you can see that, the palette has two sides and both the sides have blushes. There obviously is no mirror, which I am ok about. 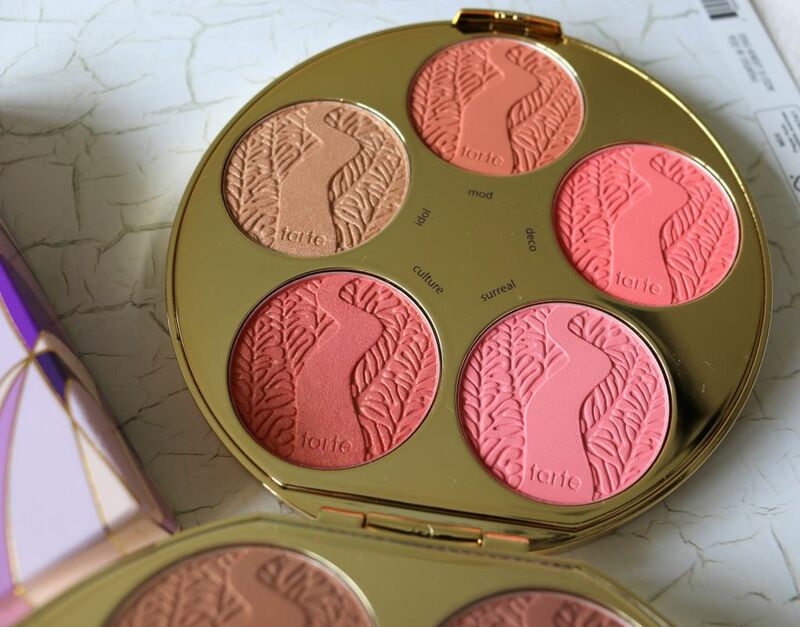 Each blush has the signature tarte blush imprint, which is pretty cute. You get 5 blushes on each side, technically 4 blushes and 1 highlight shade. There is also a plastic sleeve which runs between the two sides, which kinds of protects the blushes and also prevents them from getting mixed up. I really liked this idea, very essential. 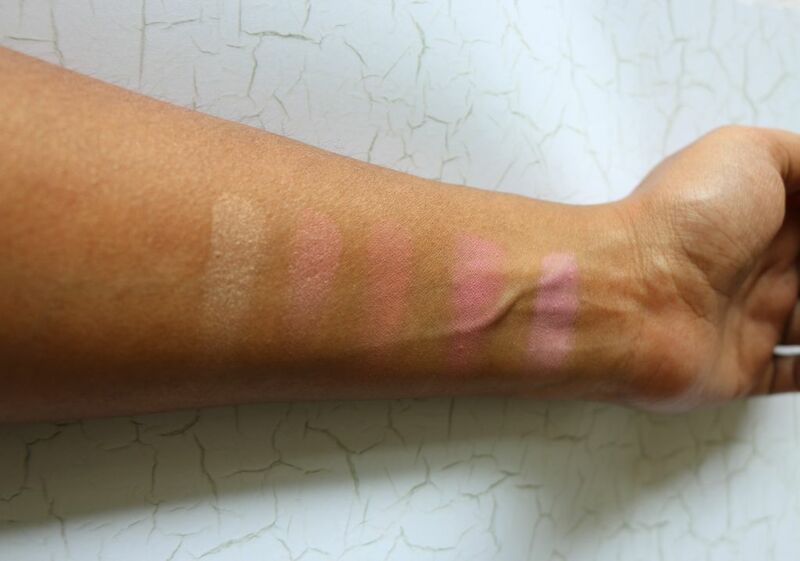 At first glance, the palette looks like it has been divided into warm and cooler/neutral blushes. 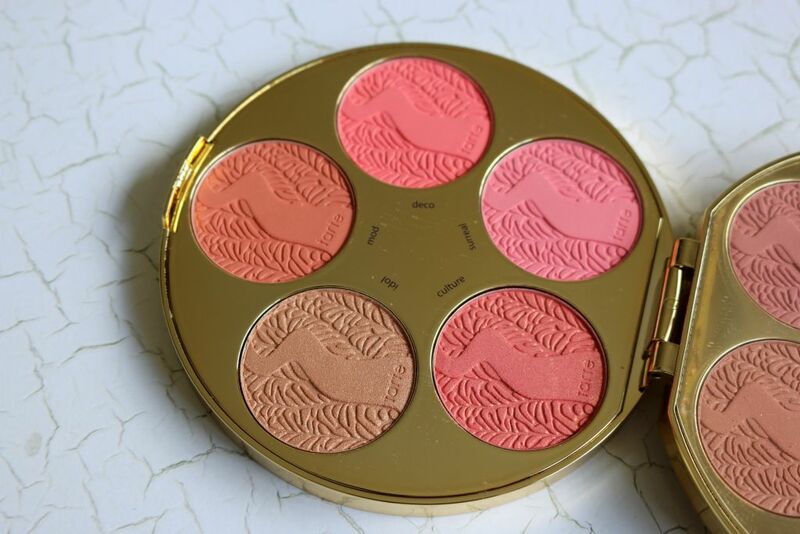 One side, has more summery, fun, warmer blushes like in the picture below. The other side has more cooler or neutral blushes perfect for fall or for those times when you want a very natural blush. Let’s do some swatches of the blushes. 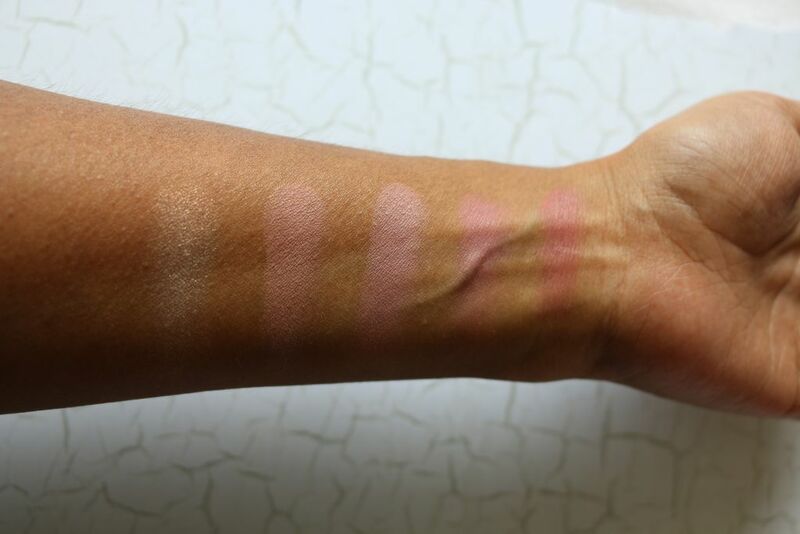 But, let me also say that for blushes and highlights you can’t really tell a lot from swatches. You actually have to apply it on your skin to see how it looks on the skin tone. 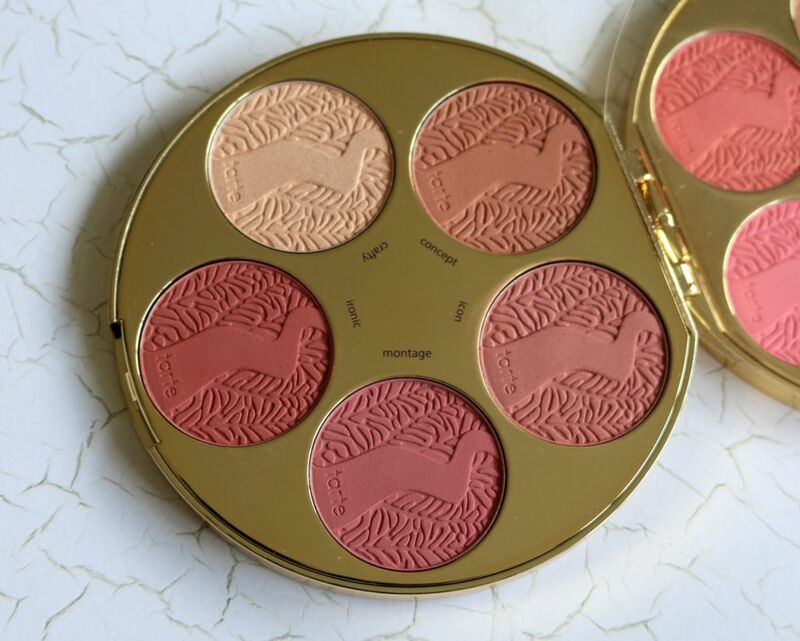 For all of these blushes, I would say that all of them show up really nicely on my skin tone which is medium-deep indian skin tone. Apart from the highlight shade “crafty”, I love all the shades. Only, this one is a bit chunky and glittery for me – it could have been better. The other highlight shade “idol” is very beautiful and it is soft and smooth and really looks nice on the skin – its a very subtle highlight, nothing too out there. 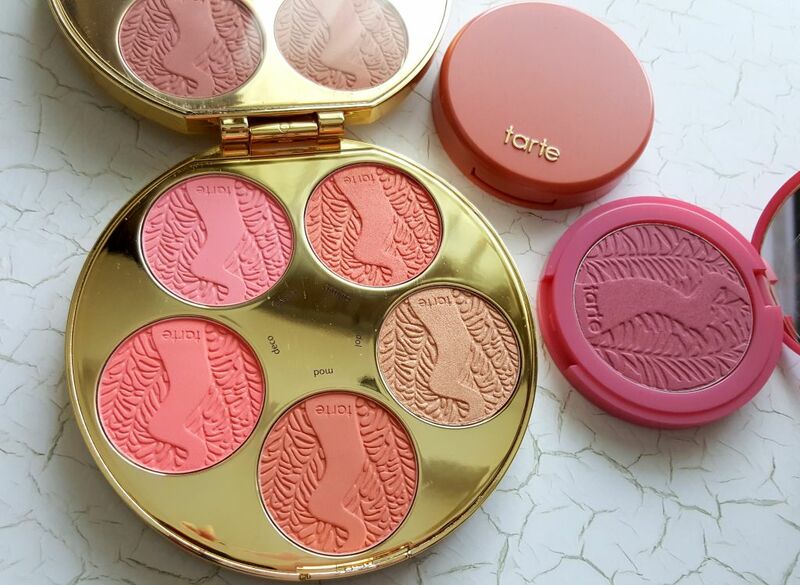 Now, let me compare the blush sizes with an original Tarte Amazonian clay blush. The palette looks quite big when you look at pictures online, but its actually quite handy and small. It can fit into your palm and its perfect for travelling with. Packaging is very sturdy, very high quality and its Purple… I love Purple, anything which is purple I am instantly gravitated towards. I am just happy that this pretty purple palette has met my expectations and not let me down. Below, you can see the actual pan size of the blushes are quite small compared to a regular sized blush. A regular sized blush has 5.6 gm / 0.20 oz of product. Whereas, the color wheel has 2.4 gm / 0.084 oz of product per pan, which is almost half of what you will get in a regular sized blush. A regular sized blush itself is SGD 47 while this whole palette costed me SGD 65. I think I couldn’t be happier about the price point. It’s quite a deal and you get so many amazing colors. 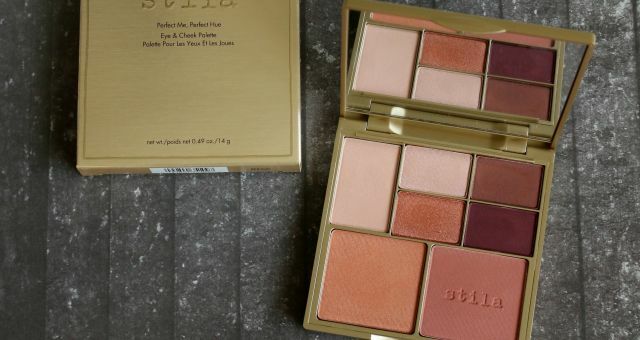 Overall, I would say that if you want to buy some good blushes and don’t mind spending a bit then go for this palette. It has some amazing shades and I am sure you will enjoy this for a very long time. 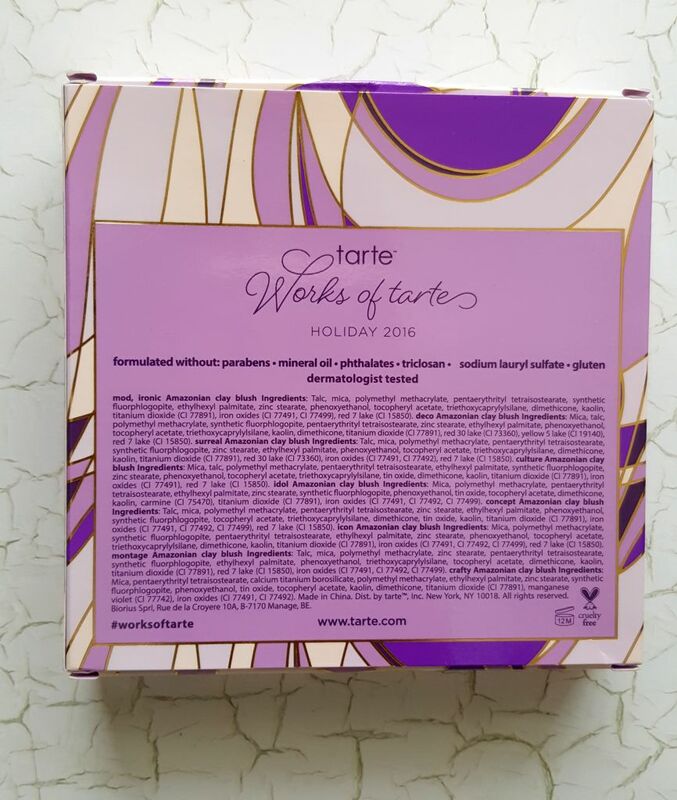 This is limited edition Holiday 2016, so grab yours while you can. I hope this post was helpful ladies.